It less then 6 months passed after last big earthquake in Christchurch last September and it happened again. 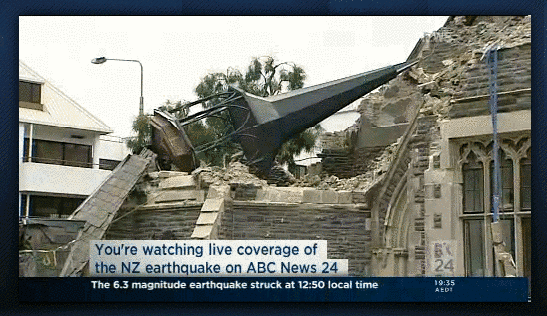 The 6.3 magnitude earthquake struck Christchurch at 12:50 local time. Only this time everything looks much more devastating and will take long time to rebuild city as damage is very bad. Thought some buildings like Anglican cathedral of ChristChurch can be lost forever. Of course it is nothing comparing with lost of lives during this strike.